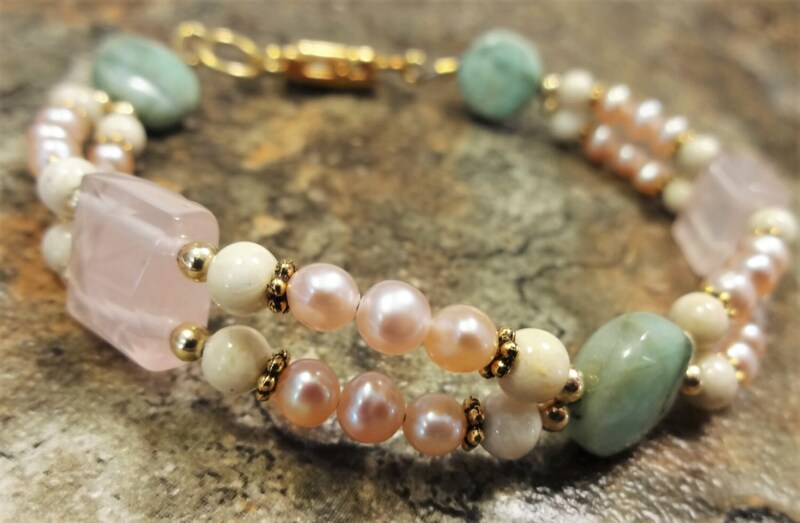 This two-strand bracelet features chrysoprase coin beads, faceted square Rose Quartz, small Riverstone rounds and pink freshwater pearls. 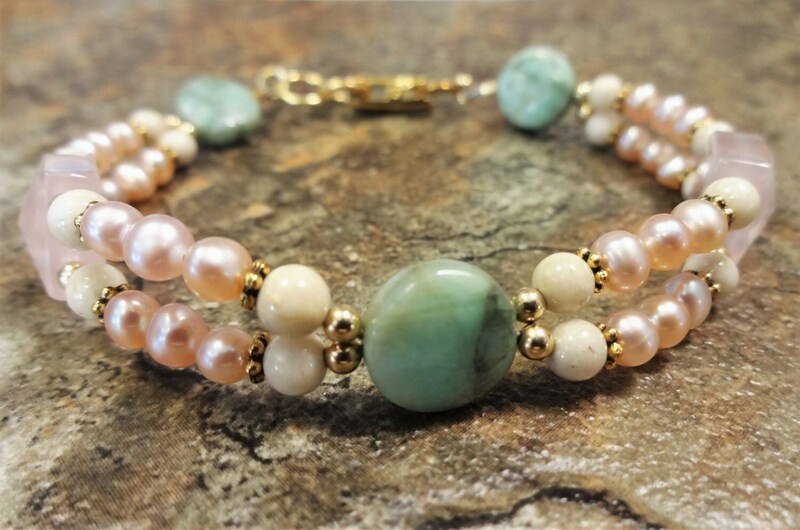 The colors are sublime and pair extremely well together in this one-of-a-kind bracelet. Gold daisy spacers, 14k gold fill 2.5mm beads and a gold fold over clasp add to the elegance. 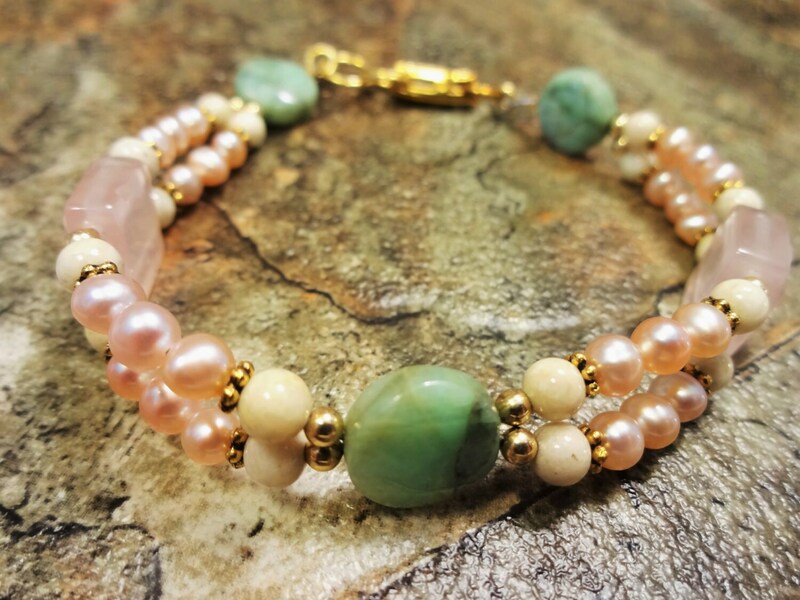 This bracelet has style and function in spades. 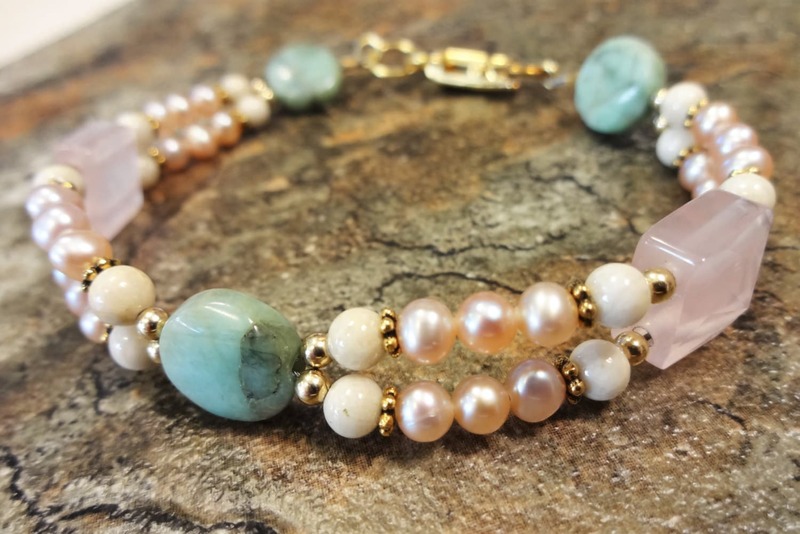 Length: 6-3/4 to 7 inches (you'll want to wear this a little on the snug side, like a watch). Let me know if you need a different size.